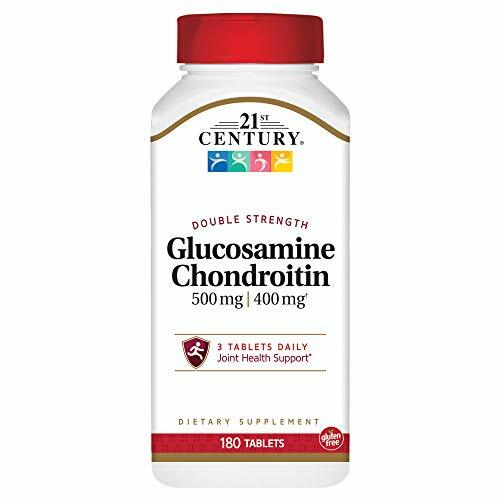 21st Century Glucosamine & Chondroitin Advanced + MSM 120 Tab has a dual antioxidant system that helps protect joints from harmful oxidants. For Your Health: Unconditionally guaranteed for purity, freshness and label potency. No added Lactose, Yeast, Wheat, Gluten, Milk, Artificial Flavors or Colors. Directions: As a dietary supplement, take three (3) tablets daily after any meal, or as directed by your healthcare provider. Do not exceed recommended dosage. Warning: If you are diabetic, consult your physician before using this product. If you have a Shellfish allergy please consult your physician before using this product. Osteo-Pet's Glucosamine for dogs with EFAs and MSM is a veterinarian approved Glucosamine, Essential Fatty Acids and MSM formula for dogs. While the original Osteo-Pet Professional glucosamine chondroitin for dogs formula has been extremely successful, many owners are looking for a basic, inexpensive formula that can help keep costs down while improving their dogs joints. This formula contains glucosamine, which is considered the primary ingredient in joint supplementation. It also contains Essential Fatty Acids (EFAs) for Dogs that can help decrease painful inflammation in joints. * The MSM in the formula is a sulfur compound found in all plants and animals. Methylsulfonylmethane (MSM) is a sulfur that is supports the building of cartilage as well as hair, skin and nails. It also supports vital biochemical processes, including energy production. Made in the USA. 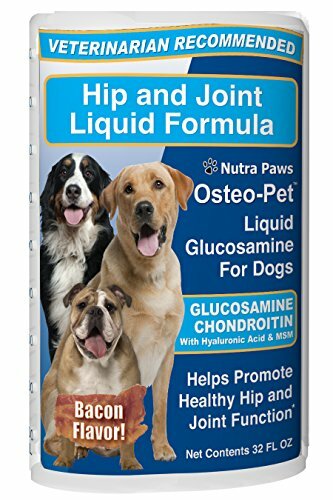 Osteo-Pet Liquid Glucosamine for Dogs 32 oz, with Chondroitin, MSM, Hyaluronic Acid and Omega 3 Fatty Acids | Bacon Flavored | The Best, Natural Formula for Hip and Joint Canine Arthritis Pain Relief. Osteo-Pet Liquid Glucosamine for Dogs has vital nutrients that your veterinarian recommends for dogs suffering from osteoarthritis. 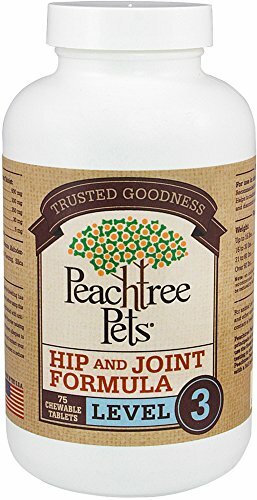 Its unique blend of glucosamine chondroitin, MSM, hyaluronic acid, aloe vera extract and essential fatty acids have been shown in clinical studies to help improve joint ailments and rebuild your dog's joint cartilage. Osteo-Pet Liquid Glucosamine for Dogs provides the ingredients necessary for the building of collagen, a vital ingredient of cartilage. Glucosamine helps maintain the cartilage's elasticity, giving it the ability to act as a "shock absorber" for joints. Some of the symptoms of osteoarthritis in dogs are:1) Limping or appearing stiff and slow to get up. 2) Slower movement down or difficulty climbing steps.3) Lying in bed for long periods of time. Always take your dog to your veterinarian to diagnose osteoarthritis. It will ensure that your dog has this disease and is not suffering from many other ailments that can cause these symptoms. Osteo-Pet products are proudly made in the USA. 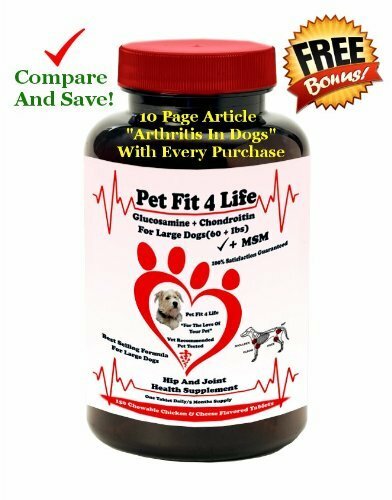 Superior joint supplement formula for dogs large and small of all ages. Benefits dogs that are: - arthritic, have hip or elbow dysplasia or other joint related issues - healthy and active - aging, and - recovering from injuries. Give your Dog the Comfort they Deserve with this Superior Joint Formula w/ Glucosamine, MSM & Chondroitin! Includes only 5 key ingredients designed for joint relief, repair and lubrication: - MSM (Methylsulfonylmethane) for antioxidant, joint healing, and cell rejuvenation properties. 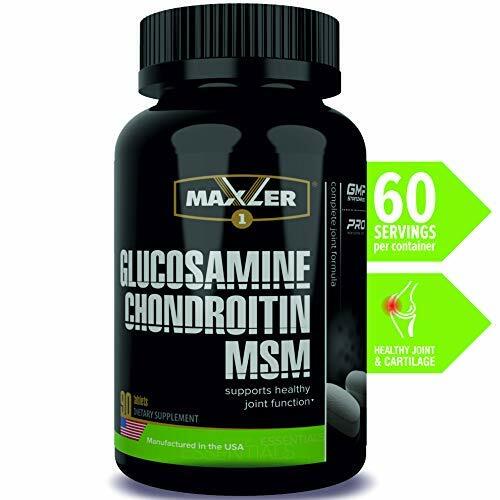 - Glucosamine Sulfate - that aids to restore and regenerate damaged joints. Anti-inflammatory. - Chondroitin may reduce joint pain, aid in protecting joints & even possibly play a role in joint repair. - Vitamin C - anti-inflammatory, antioxidant and collagen growth. - Devils Claw Root - anti-inflammatory & potent pain relieving properties. Several studies have shown it to be effective in pain relief and joint function. Nothing else added! - NO Fillers - NO Flavorings, Natural or Artificial Colors or Preservatives - NO Starch, Corn, Wheat, Gluten, Dairy, Soy Only the best quality ingredients - Raw materials produced in a GMP facility. Cost Effective! 56 Servings to 3+ months - 3x the MSM & Glucosamine of other Joint Formulas Compare & Save. 100% Money Back Guarantee! Simply return the unused portion within 60 days if you are not completely satisfied. Give us a try - Risk Free! Start your dog on a Glucosamine with MSM & Chondroitin Today.Click the Add to Cart Button to Order Today! Osteo-Pet Total Joint Formula offers the latest proven science in a tasty treat designed to help rebuild and repair worn down and damaged cartilage. Many pet owners are looking for the latest nutraceuticals for dogs, including those which can help reduce joint inflammation. Osteo-Pet Total Joint formula contains glucosamine chondroitin for dogs as it's core ingredient. 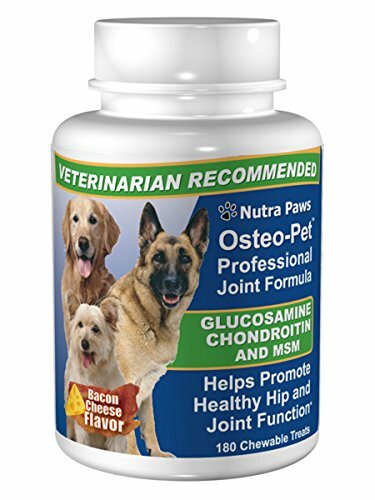 It also contains: Hyaluronic Acid for dogs - this is a non-sulfated glycosaminoglycan distributed widely throughout the connective joint tissue found in knees, elbows and other joints. It is a primary component of the synovial fluid lubricant found in all bendable type joints. Green-lipped mussels for dogs are another source of high levels of glycosaminoglycans, which help assist in the repair of damaged joint tissues. Vitamin C for dogs may sound redundant because unlike humans, dogs can produce their own vitamin C internally. But, during stressful times like injury, pain or joint cartilage damage, it's beneficial to offer your dog a backup supply of antioxidants like Vitamin C. Another powerful antioxidant for dogs is Vitamin E . Vitamin E can decrease the production of prostaglandins and leukotreines. This offers anti-inflammatory benefits to your dog's joint pain. Collagen is the main protein of connective tissue in dogs and animals. Connective tissue, like cartilage, is the primary component of synovial joints. Essential Fatty Acids for Dogs can help decrease painful inflammation in joints. A positive side effect is that essential fatty acids can also help improve the luster and shine of your dog's hair, skin and coat. Boswellia for dogs is a newly discovered natural anti-inflammatory to help stop swollen joint inflammation. This uses the same bacon & cheese flavor as the original Osteo Pet formula. Made in the USA. 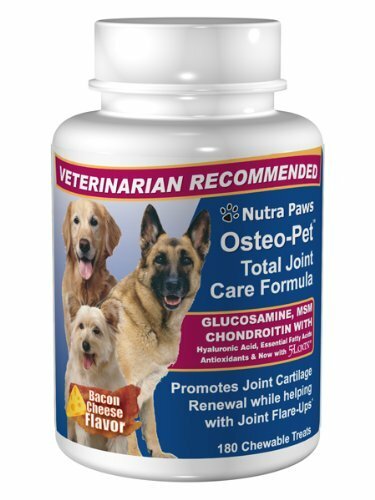 Glucosamine for dogs can help Repair, Rebuild and Renew dog joint cartilage. Glucosamine Chondroitin for dogs is a bacon & cheese flavored treat for the assistance of canine arthritis and hip dysplasia. As dogs of all sizes get older, they tend to lose flexibility in their joints due to natural deterioration and aging. Glucosamine for dogs can help repair and renew the cartilage by providing the matrix that joint cartilage uses to rebuild and regenerate. Chondroitin for dogs can help stop the rate of deterioration of joint cartilage due to natural enzymes. 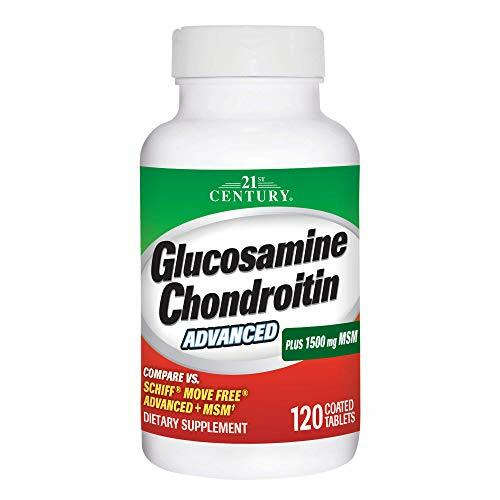 Both Glucosamine and Chondroitin are scientifically studied ingredients that are used in the rebuilding and repair of worn and damaged cartilage. * * These statements have not been evaluated by the Food and Drug Administration. This product is not intended to diagnose, treat, cure or prevent any disease. Made in the USA.